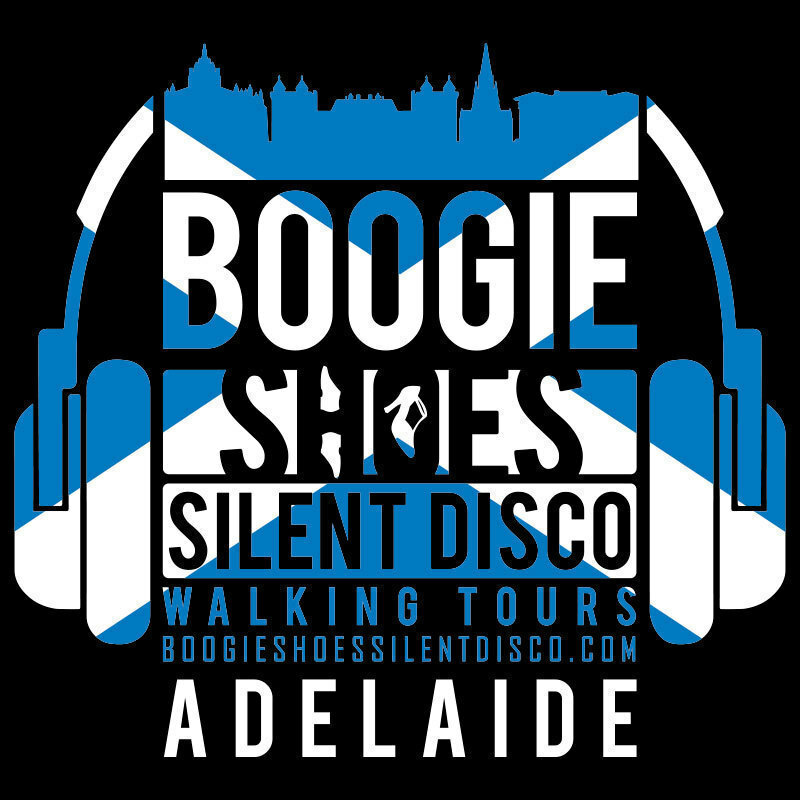 Come join the brilliant BOOGIE SHOES Silent Disco on an immersive dance-walk with a hilarious Scottish Twist through the wonderful throngs of the Fringe. We've fled the harsh Scottish winter to bring you lovely Fringe-folk feel-good tunes for everyone. Spontaneous surprises with friends and festival onlookers with Boogie Shoes' fun commentary. Expect Magical-Happenings and a tickle for your soul. "The most fun I've ever had!" Enjoy a different way of experiencing beautiful Adelaide with great tunes and your favourite people. Sold-out show Edinburgh Fringe 2018. Come have some laughs and a gentle wee jig with us. Bring something to drink and comfortable clothes as we will be moving around; flat shoes and small backpacks work best. Spare tickets on the door. Och Aye The Noo! Our Boogie Shoes Team Took the Edinburgh Fringe by storm with a wonderful Feel-good silent disco walking tour. Great Music, a passion for making the unexpected happen and a desire for joy and laughter makes us a great choice for your Fringe Experience.